Technological disruption has imposed significant opportunity to various businesses to grow as well as allowing numerous consumer to reach out those business. As a result, inter-connected market erupted and led to millions of financial transactions. Hence, with all these products, there is no doubt that lots of consumers are facing the the time that their spendings outgrow the income. So, saving your money beforehand could be a long term solution to prevent future shortage of cash. Today, Masii is pleased to walk you through 4 easy ways to save your money. Firstly, you have to know what’s you saving for. Whether it’s a short-term or long-term objective. Then, work backward and calculate how long you have to save those money and how much you have to save for each period. This might sound exaggerated but actually it works! Letting other people know that you are saving your money for some particular goal could motivate you to carry out that goal otherwise you might feel shame if you can’t keep your words. Discipline is a key to successful savings! Lots of people cannot fulfil their saving goal with the fact that they are lack of proper saving discipline. 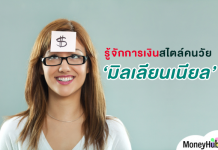 Therefore, training yourself about saving by regularly save your money could turn this into a lucrative routine. 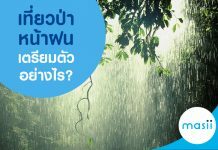 For instance, you may choose to save THB 3,000 per month to a point that this become your comfortable saving routine. 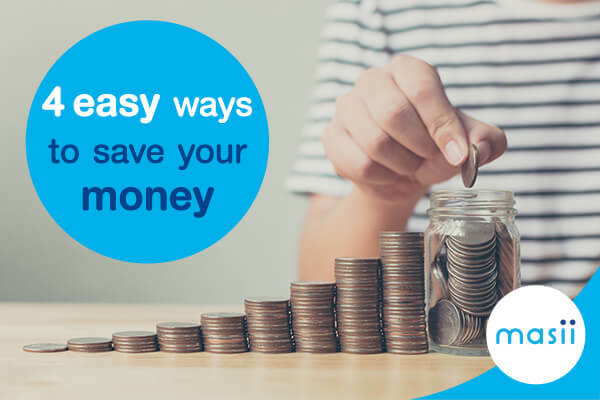 Pennies and other coins might make you feel irritating keeping them in your pocket but if you compile them together, the amount might be bigger than saving only the bank notes. Thus, putting your coins into the old-school piggy bank could accelerate your savings in some ways. Want to get rich fast? Don’t forget to adapt this 4 tips in your savings routine and we could guarantee you a profitable outcomes. Previous articleHow bank interest is calculated?